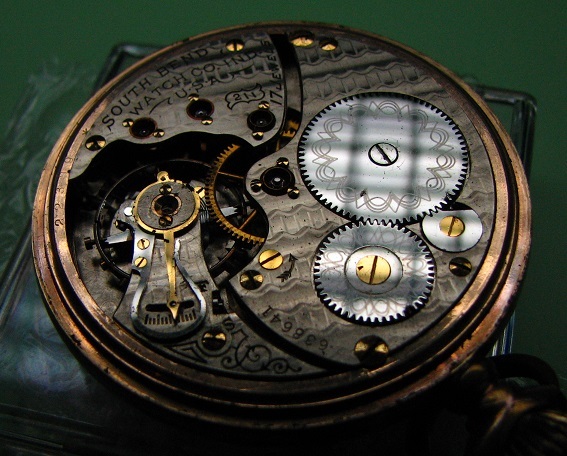 Lets start a thread with pictures and info on your South Bend private label watches. 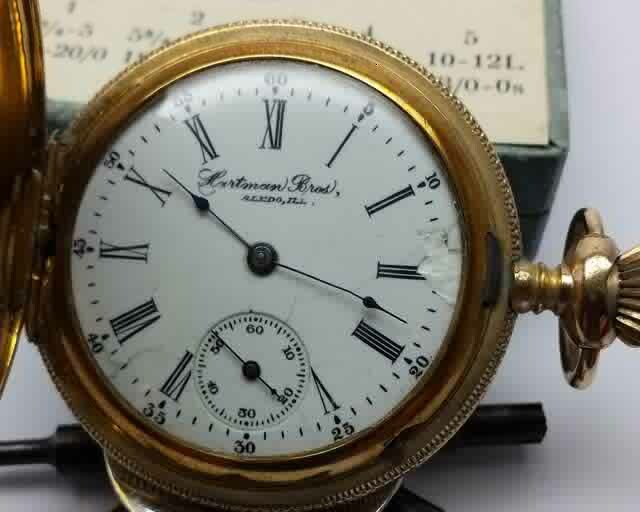 I'll start it out with my 18s grade 331 serial number 416790 with private dial for George L Palmer. 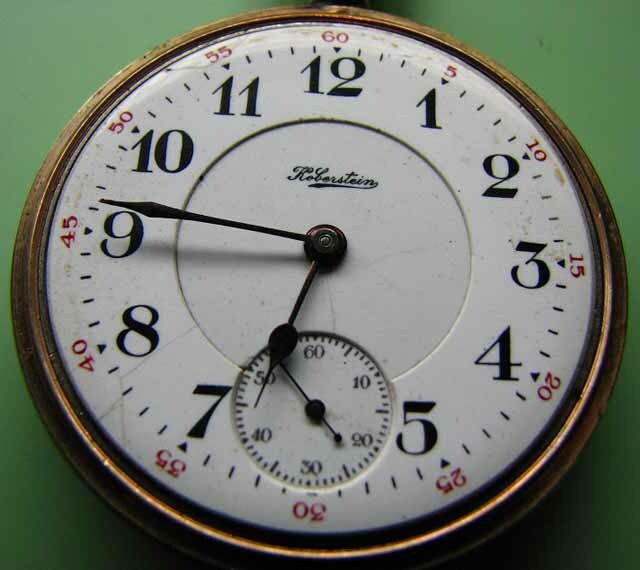 My next South Bend with a private label dial is an 18s grade 331 serial number 416423 for H. D. Wenrich. 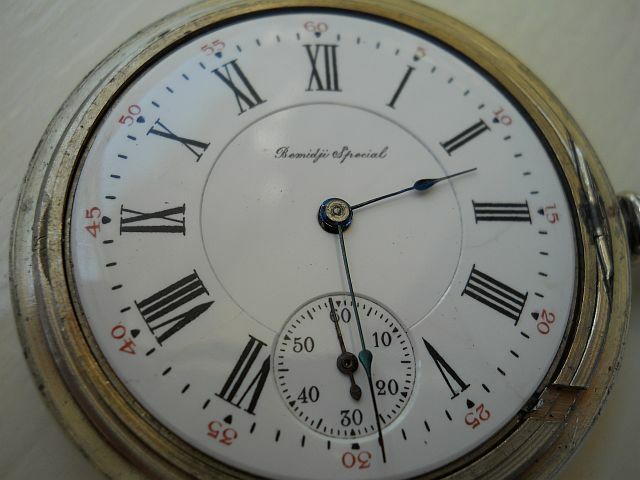 Here is a 16s South Bend serial number 446042 on a grade 261 with a private label dial for J H Hasenritter, Herman, MO. Here is a 16s South Bend private label from a grade 260 for E. L. Fischer, Reeseville, WI. George L. Palmer born about 1880 in Pa., in 1930 census lives in Mansfield Pa. married to Lydia M., he is listed as a proprietor of jewelery store. Julius Hasenritter born May 1869 in Missouri, 1900 census in Missouri married to Lena, he is listed as a jeweler. Thank you! Thats adds to the uniquness of the private label. 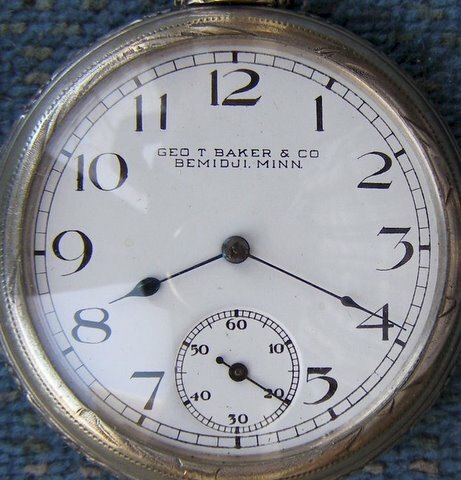 George T. Baker was born about 1878 in Michigan, in the 1930 census he lived in Bemidji , MN & was married to Grace M., he is listed as proprietor Jewelery Store. Edward Leonard Fischer, born Sept. 4, 1877 in Wisconsin, in the 1910 census was living in Reeseville with his wife Eva C. & was listed as a jewelery salesman. I can't seem to find anything on H.D. Wenrich, except that he may have been out of Manassas, Georgia. Thanks Tom: You do wonders with that geneology. 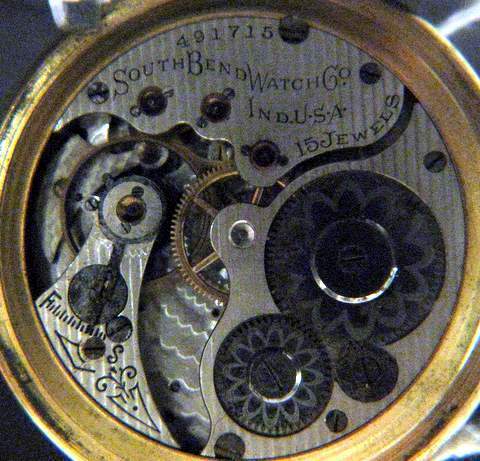 Here is my latest South Bend Private Dial Watch. It is a size 16 grade 281. 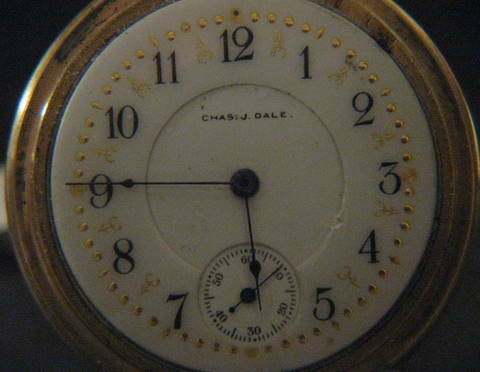 The name on the fancy dial is Chas. J. Dale. This is the fancy case. It is brass with green inserts. 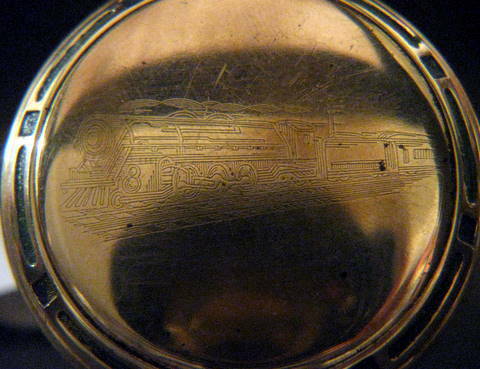 This is the case back showing a locomotive and the green inserts around the edge. 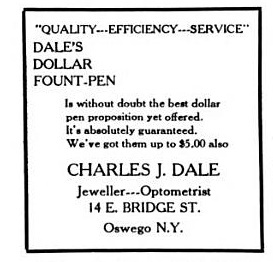 This might be your jeweler, this is from the 1896 Plattsburgh NY city directory. Tom: I believe you are right. It sure could be the same guy. Thanks! If it is him, he was born March 1856 in Wisconsin. Up to 1910 census he was a jeweler in Plattsburgh NY but by 1912 he had moved to Oswego NY & opened a store there. Tom: Wow, a fellow Wisconsinite! I was born 2 months later than my Great Grandfather. Thanks! This is a South Bend pvt label I just picked up. 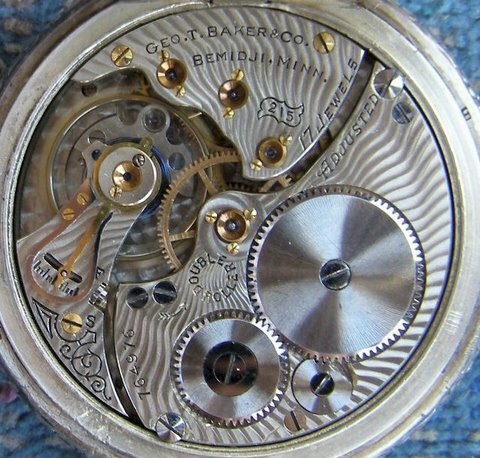 An 18s , 17j, model #1, grade 341, ca. 1905. Cherry Valley is about 30 miles south of me. The movement is a South Bend marked 212. Serial number 704820. Movement-Geo. 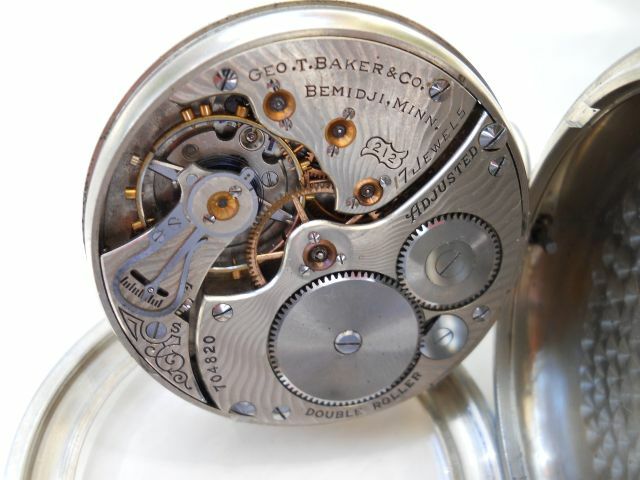 T. Baker & Co.--Bemidji, Minn.
Im digging up this old topic with my new acquired private label grade 211.Its quite interesting, as I didnt noticed that before purchase, it has customized movement - all screws are gold (in colour I suppose, except one - most likely not original), also hands are purple - like on high grade movements. Please see the pictures. 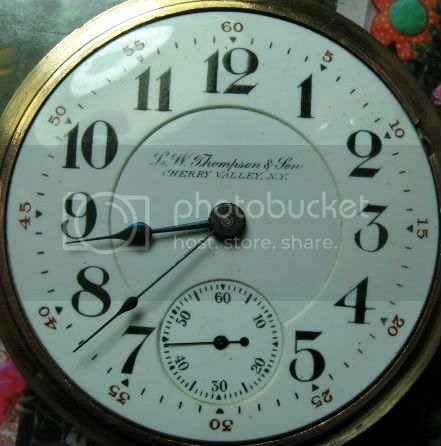 Maybe someone has info about label on dial. 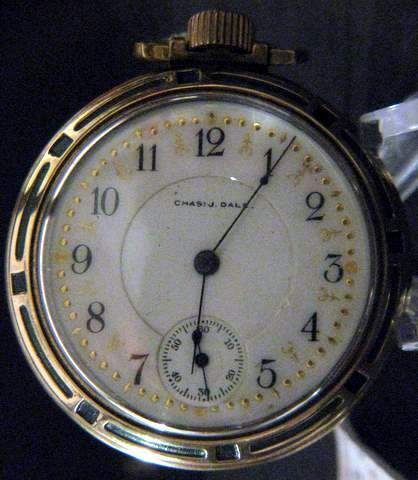 Not sure if this was the same jeweler for your watch but there was a George Koberstein who had a jewelery store in Baldwin, Wisconsin. He was born about 1875 in Wisconsin. If I find more of a connection I will post it.